The brewing setup that I realised is a so-called HERMS system. HERMS is some instance of a RIMS system. I will explain you briefly what these abbreviations mean and what the advantages are (see also the Links section). RIMS stands for Recirculating Infusion Mash System. After mashing (adding the milled grain to the water), we let it rest for a while at a certain temperature. The enzymes from the grain convert the starch into sugars. In a RIMS brewing setup, the water is circulated continuously through the grain. This explains the 'recirculating' in RIMS. A pump is therefore an essential component of such a RIMS system. In the bottom of the Mash / Lauter Tun (MLT), a copper filter takes care that the grain remains in the MLT when the (sugar)water is sucked out. The (sugar)water is then pumped back on top of the grain bed. During recirculating, the water can be heated to compensate for heat losses. 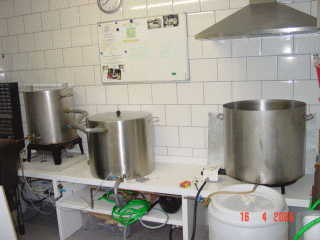 Some RIMS home-brewers use an electric heating element that is controlled by a PID controller. This controller controls the temperature in the pan by controlling the amount of heat. 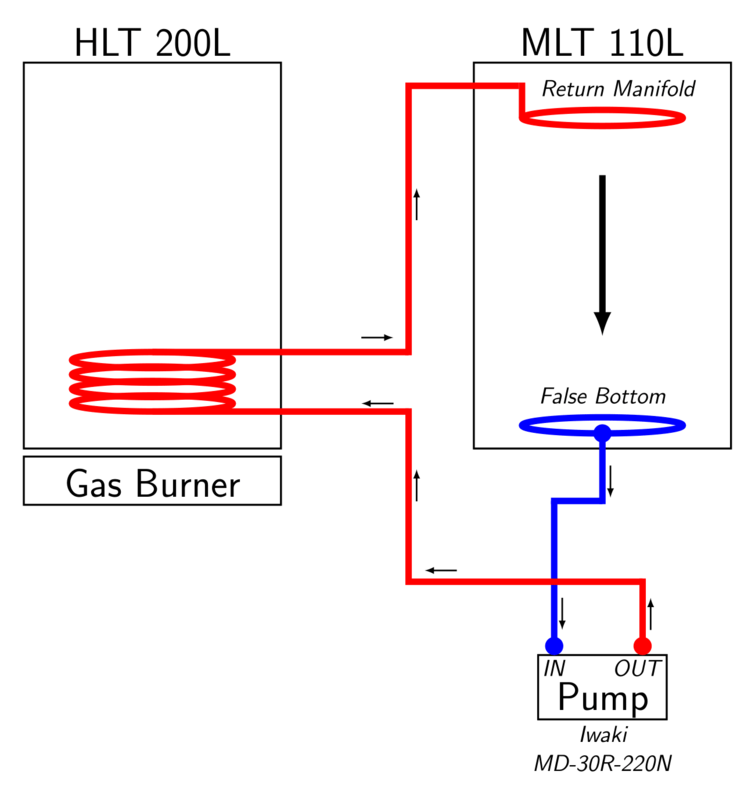 Another way of heating is by placing a burner under the MLT. But this is not really preferred, since you might scorch the grain (gives a bitter taste). 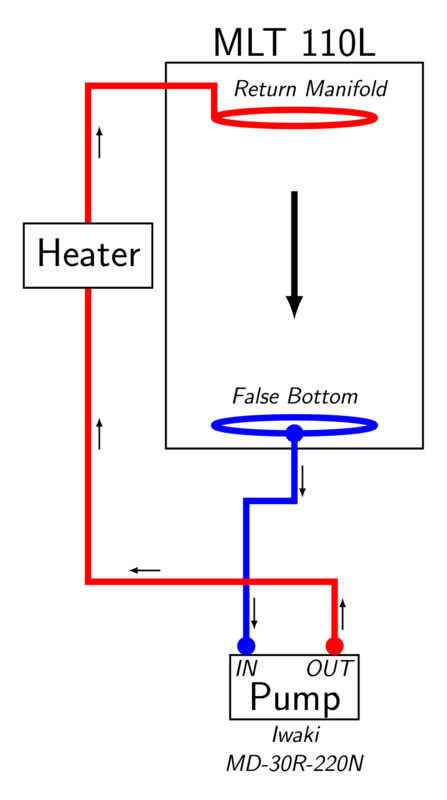 And there is a third way of heating and that is done in the HERMS type of system. This is the type that I built. For a more detailed description, check out the page 'How it works? '.